RSA is one of the first practicable public-key cryptosystems and is widely used for secure data transmission. RSA involves a public key and a private key. The public key can be known by everyone and is used for encrypting messages. Messages encrypted with the public key can only be decrypted in a reasonable amount of time using the private key. In this description You will read about two different ways to create some RSA key pairs. In the first section of this tutorial, You will get some knowledge about creating public and private RSA keys with Puttygen application. Besides this option, You will be able to use the Security feature of Ozeki Phone System XE to create encryption keys. First of all, open the Puttygen program to create a new encryption key pair. You can add some parameters to the application according to your needs. You can specify the type of the key (SSH-1 RSA, SSH-2 RSA and SSH-2 DSA), and number of bits of the generated key. Choose SSH-2 RSA key type, add a key length, then click on the ’Generate’ button to generate a public/private RSA key pair. Then You will need to move your cursor randomly over the blank area to create a unique key pair. After these steps, You will get both of the keys. The public key is useful, when you want to encrypt a message to hide some informations. This message only can be decrypted when someone has the private key pair for the public key. To save public key, click on the ’Save public key’ button, name the file and choose a path for it. To decrypt the encrypted data, You will need to save the private key. You can easily do this, just choose the Conversions menu tab Export OpenSSH key option. Make sure that only those people can reach this private key who really has an access for it. If You have done all of these steps with Puttygen, you have an RSA public and private key pair, which allows You to encrypt and decrypt your files and datas. There is another way to create encryption key pair, You can use Ozeki Phone System XE to reach this functionality. This is a really great and comfortable option to create encryption keys and encrypt/decrypt your selected files. First of all, login to the Ozeki Phone System XE using your valid username and password. 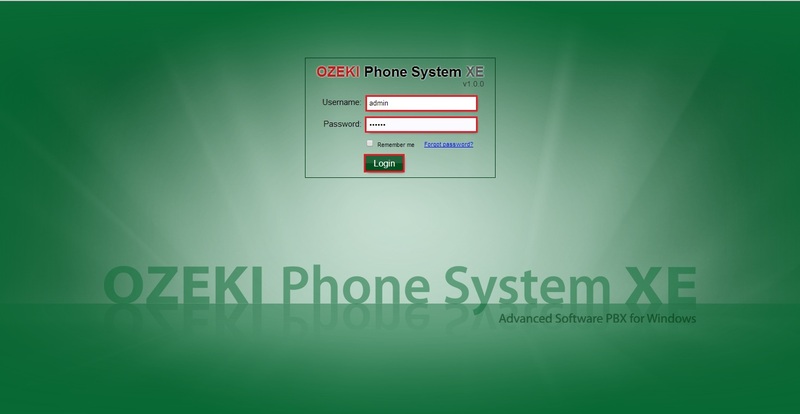 If You logged in successfully, You will find yourself in the main menu of the Ozeki Phone System XE. 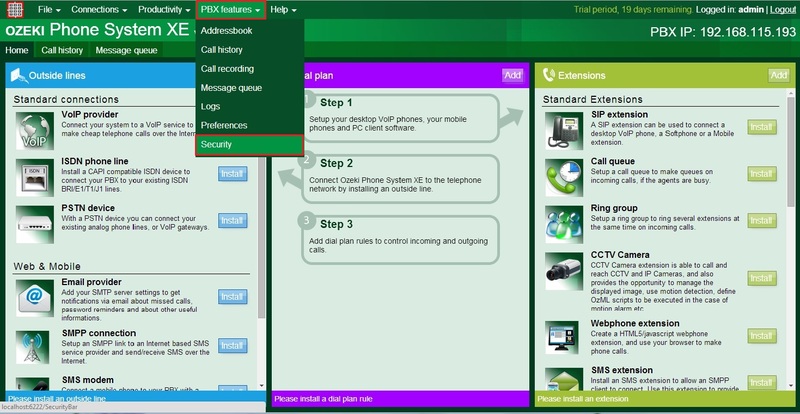 To create encryption keys, select the PBX features menu title on the top of the screen, then choose the Security option. You are able to add a unique name for your key, what will be used to reference the generated encryption key in Ozeki Phone System XE, You can upload the public key of an existing key pair, or You can generate a brand new key pair. A download prompt will appear with the private key after the generation. It will warn You that this will be your only chance to download the private key. If You lose the key, this keypair no longer be of use. After You gave a name for the key, You can generate the key pair and download the private key. Store this private key in an absolutely safe place where there is no possibility of obtaining the file. Finally You can find the saved public key in the Encryption keys list and You can use it to encrypt your recorded calls in Ozeki Phone System XE. Now go back to the main page to use this key to setup call recording encryption to protect your recorded calls. 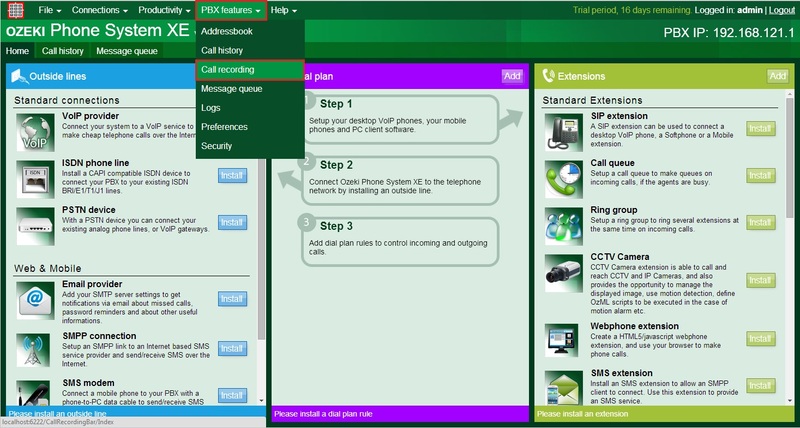 You can find the call recording setups in the PBX features menu point Call recording option. You can see here the setups of call recordings of Ozeki Phone System XE. 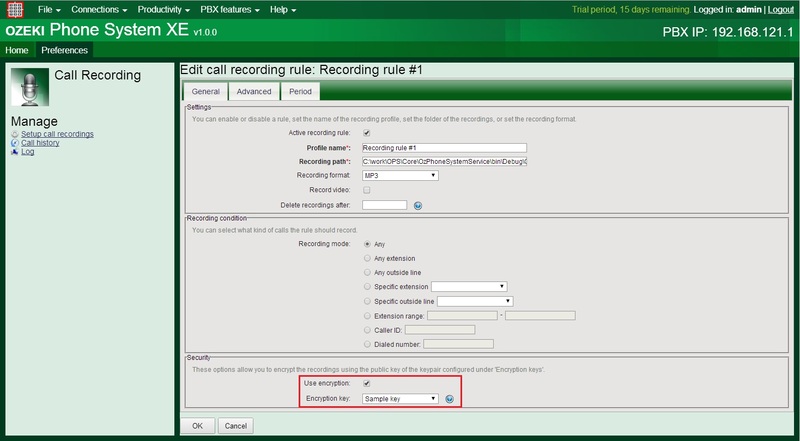 Select the Setup call recordings option and set a recording rule by clicking on the New recording rule button. You are able to choose between 3 recording setups: generael, advanced and period. There is a security section in general setups, which allows You to encrypt the recordings using the public key of the keypair configured under 'Encryption keys'. Select the Use encryption checkbox to reach the saved encryption keys, and select one of them to encrypt your call recordings. You read about two easy and useful ways of generating RSA public and private keypair with Puttygen and Ozeki Phone System XE. With Puttygen You are able to create a unique key pair and use it for encrypt call recordings in Ozeki Phone System XE. And there also a way to generate keys with Ozeki Phone System XE as well. With these features You easily can protect your informations from anybody.